I usually do a chocolate giveaway once every two months or so. (Perhaps you have entered, or even won one of those!) 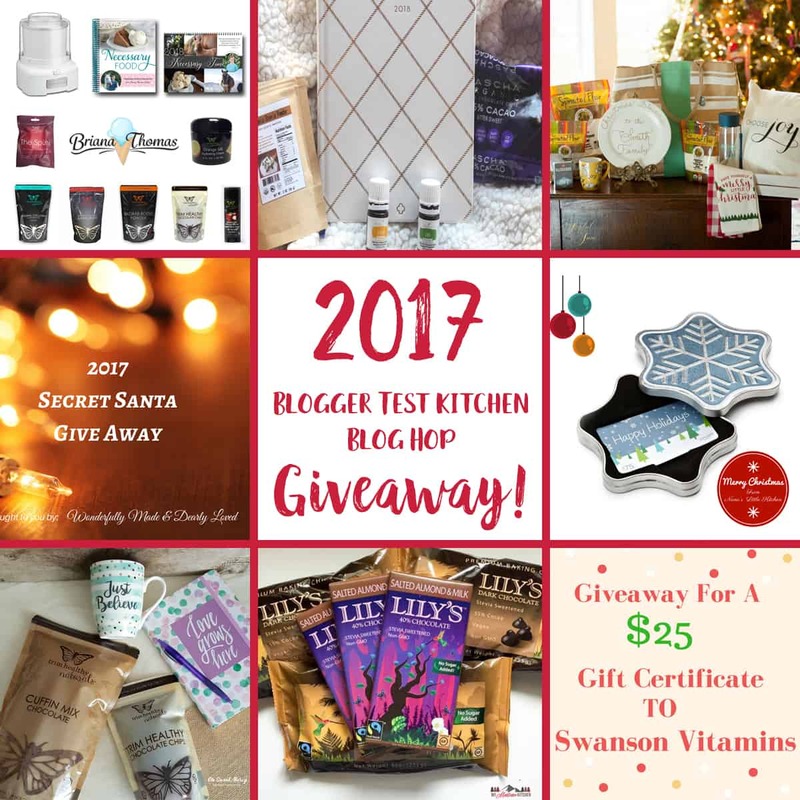 But this time I am teaming up with some of my Trim Healthy Mama Blogging Buddies for a 2017 Blog Hop Giveaway! If you have followed my blog for any length of time, you know that I love to use Lily’s Chocolate Chips. These chocolate chips are sweetened with erythritol and stevia, and are also dairy free! But if you do not win the giveaway, you can still purchase Lily’s Chocolate Chips at Natural Grocers, or Whole Foods. Or, if you do not have those stores close by, you can also order them online! The cheapest place I have found them online is Lucky Vitamin. They are regularly priced at $5.15 per bag, and are sometimes on sale for as little as $4.90! (They are on sale right now!) I’ve never seen them at that price anywhere else. 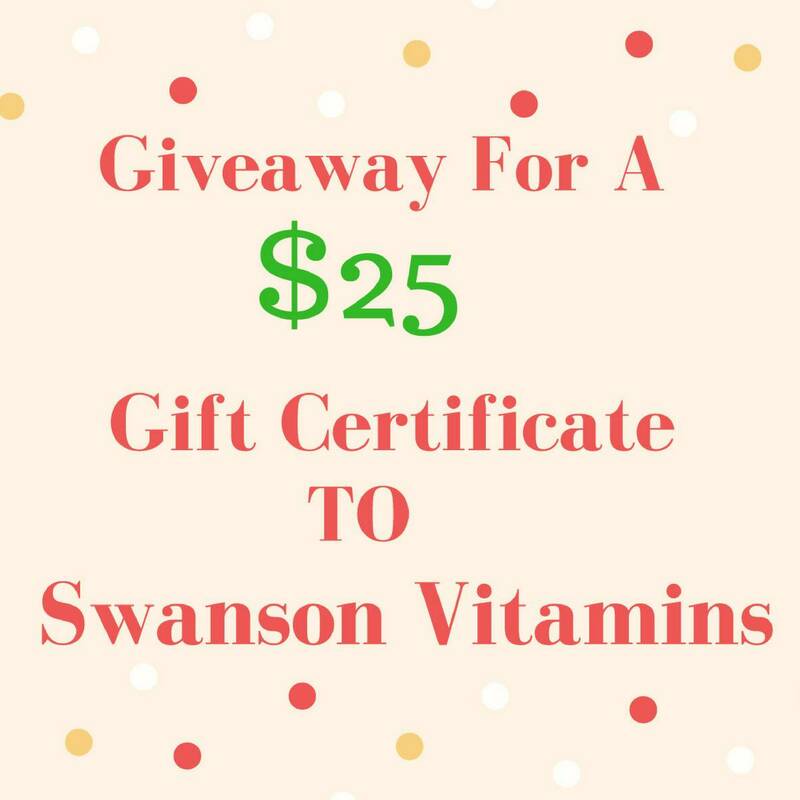 You can click on the photo below to go to the Lucky Vitamin website. So, . . . how do I use Lily’s Chocolate Chips? Well, I am so glad you asked! You can see a complete list of recipes that use chocolate chips here. But I have listed a few of my favorites below! Use the widget below to enter my Lily’s Chocolate Giveaway, then scroll on down to see what everyone else is giving away and for links to enter! Legal stuff: Legal stuff: Giveaway ends December 20, 10:00 PM MST. Open to Residents of the US only. Winner will be selected randomly through rafflecopter. The winner will be emailed and notified on my Facebook page, My Montana Kitchen. Winners have 48 hours to respond before a new winner is selected. My opinions are my own. Facebook, Twitter and Instagram are in no way associated with this giveaway. By providing your information, you are providing your information to me and me alone. I do not share or sell information and will use any information only for the purpose of contacting the winner. More awesome things you can win . . .
I’m Judy and I blog over at Wonderfully Made & Dearly Loved. I’ve followed Trim Healthy Mama for a few years now and continue to share smaller family size recipes (we are empty nesters) while controlling my diabetes. I love to bake and create our family favorites with experience in using alternative ingredients that spans about 40 years. And I love my Instant Pot! Click here to enter Judy’s giveaway! Nana’s Little Kitchen is serving up solid THM Friendly Southern dishes to help you on your Trim Healthy Mama journey. Teresia is sharing classic recipes that are satisfying, delicious, and nutritious to help you weave this fantastic diet plan into the fabric of a healthy life. 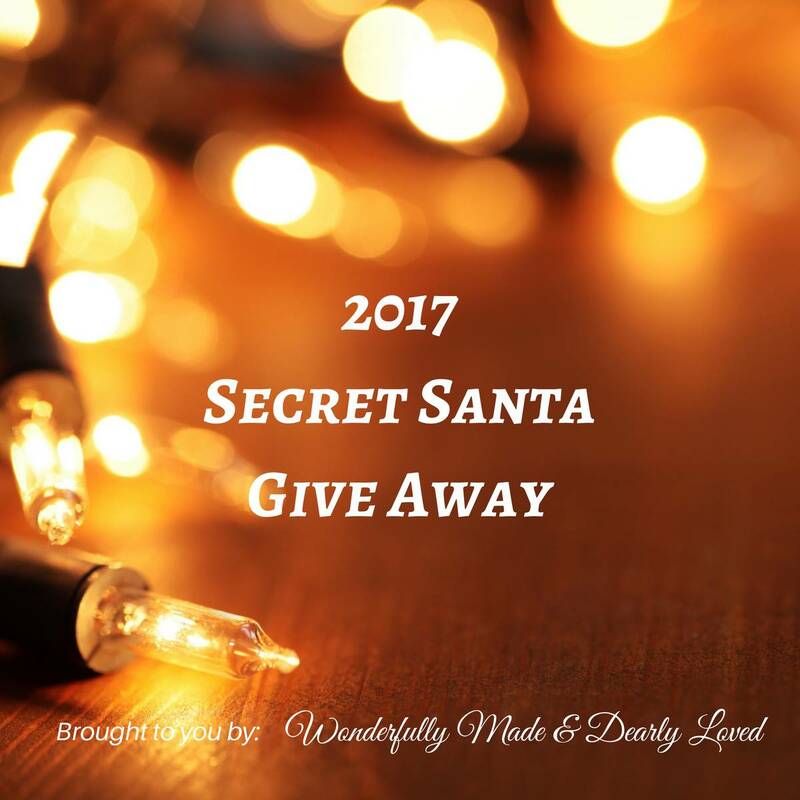 Click here to enter Teresia’s giveaway! Cate from Grace-Filled Homemaking is a wife and Mama to two little men. She serves up delicious, family-friendly Trim Healthy Mama recipes along with a dose of faith-based encouragement, homemaking tips, budget-friendly menu plans and more! Her goal is to help you create a healthy home that’s full of God’s grace. Click here to visit Cate’s giveaway! 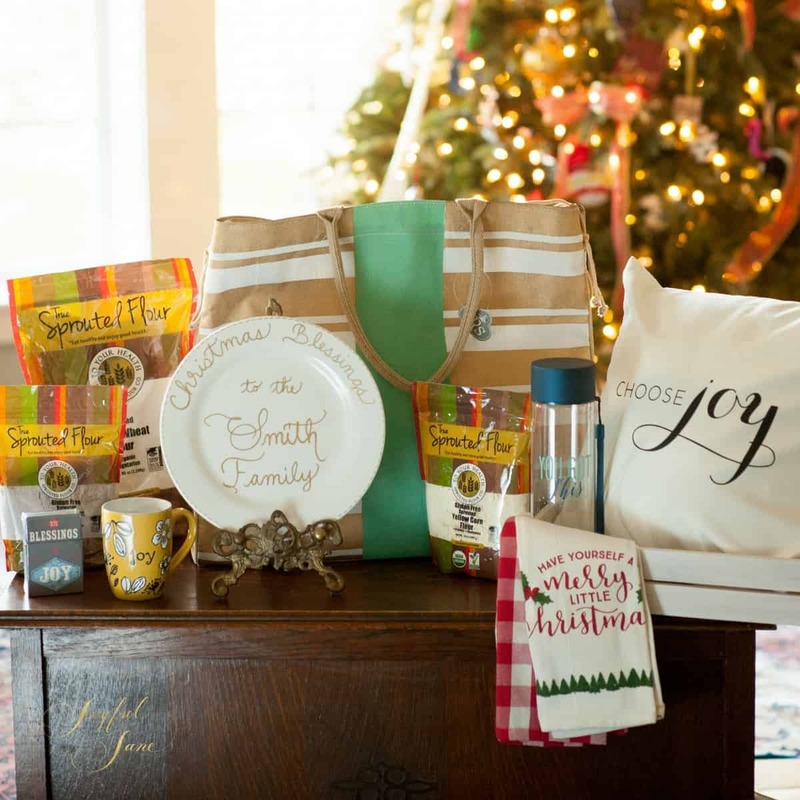 Make sure you hop over to the other blogs and enter to win! I like using Lilys in chocolate chip cookie fat bombs! I like them eaten right out of the bag! I love your recipes! Thank you for sharing! 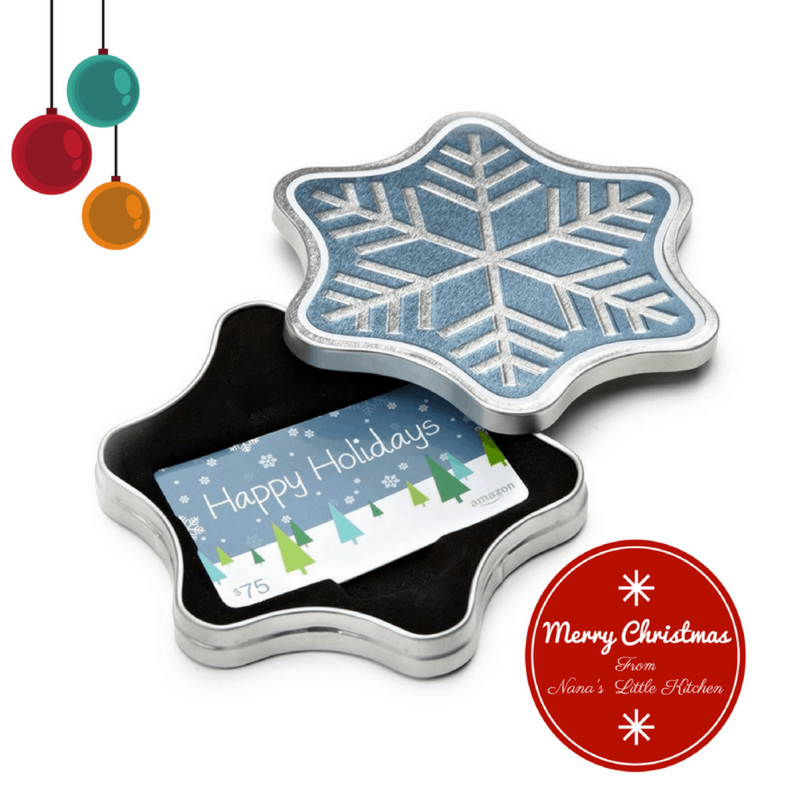 Love Lily chocolates, I use them to make chocolate chip cookies! My favorite thing with Lily’s chocolate chips is THM Chocolate chip cookies. I’ve only used in Cookies and the Trimtastic cake. Chocolate chip cookies of course… oh my goodness my hubby is a cookie monster! I haven’t had a chance to find lily’s products as I can’t find them in my area. I only hear great things about them though and I’m sure I can get them on Amazon or something but I haven’t yet. I love making your recipes, everything is so good . Love the poodle doodle! I have never tried the chocolate chips, but anything chocolate sounds good to me! I like my Lily’s straight out of the bag ? I’ve never had Lily’s chocolate, but I’d like to make some chocolate chip cookies! I have never tried them but I’ve been aware of Lily’s for a while now. I would love to replace my organic cacao chips (which are only 46%) with something healthier. So I’d replace everything I use my “other” chips in now. I would like to have a good chocolate chip cookie recipe to use them in. I haven’t used Lilys Chocolate yet, but I would finally make chocolate chip cookies. Looking forward to great recipes and baking. Ive never tried them and we love chocolate chip cookies so thats what id use them for! I have never used Lilly’s! Would love to try them!!! I like to throw Lily’s chocolate chips into vanilla shakes and MIM’s! Thank-you so much for such a fantastic give-away! I’ve never used Lily’s Chocolate but am anxious to start!!! Pop them in my mouth one by one! I haven’t had the chance to use Lilys chocolate chips but have been wanting to try them in cookies, etc. Chocolate chip cookies and/or fudge! I love Lily’s in CC muffins and by the handful! I have not gotten to try them yet! I sure do want to try the poodle doodles! ? I use them anywhere I’d use regular chocolate chips – sprinkled on pancakes, or testing various THM recipes. I love just eating them! I really want to use the chocolate to make the poodle doodles! ? They look amazing! I’ve never used them, but I’d love to make Brianna’s chocolate chip cookies! I have never used Lily Chocolate Chips but I sure do want to try!! I’ve never had Lily chocolate chips, but I wanna just eat them right outta the bag!??? I haven’t ever used Lily’s chips – I don’t think they have them in my area 🙁 But I would love to try them in ice cream! I love using Lily’s chocolate chips in my cookie dough fat bombs!!! I use my Lily’s chips the most for Peanut Butter Whip. It’s so quick and easy, but satisfies my need for salty/sweet. YUM! I like having a small handful when I get a “desperate” chocolate craving! Love eating Lily’s chips right out of the bag!! I use Lily’s chocolates in all my favorite THM recipes! New to Lily’s can’t wait to try! I have never tried Lily’s Chocolate chips. I haven’t tried them yet. But there are so many places I’d love to add a little chocolate. ? I have never used them! I’ve never had the opportunity to try Lily’s chocolate. Looking forward to it! I would love to try these in making chocolate chip cookies! I am just trying to figure out THM and would love these to help begin my journey! Thanks for the opportunity to win! Have a blessed Christmas! I would like to try these! I just could never get myself to pay the price. They are non-existent at any stores near me so I had to order from Amazon. They are kinda pricey so I use them sparingly in my Chocolate Trimtastic Zucchini cake. If I really want something chocolatey I’ll pour a few in my hand and pop them into my mouth. Pre-THM, I always loved eating Nestle’s mini chocolate chips that way. I use chocolate chips in my chocolate chip oatmeal, so yum. I love using Lily’s in magic bars and truffles! I like to use Lily’s chocolate chips in the kitchen sink cookies or truffles. Anything candy related!! I love the almond joy cookies and the salted caramel bark! I’ve only used them in chocolate chip cookies. I have also grabbed a few to eat plain for an afternoon chocolate fix. ? I like to use them in Edible Chocolate Chip Cookie Dough! I just bought my first bag of Lily’s chips a couple weeks ago. I made some muffins and a brownie in a mug and sprinkled them on the brownie. They were great! Thank you for the giveaway! So very kind of you to do that for a special Mama! Merry Christmas! I’ve not tried Liliy’s products yet. Likely the chips would end up in a batch of Nut Butter based no-bake bars. I like how you took the time to mention each of your co-bloggers by name, as well as add their FB visits as entry options. I found you because I subscribe to Briana. I would love to make chocolate chip cookies with these! I really hope to win!! Thanks for the giveaway!! I’ve never tried those chocolate chips, but they look tasty. If I never used them but have had a brownie in a mug before with them. So I would indulge in making that myself everyday!!! Chocolate chip cookies and single-serve “in a mug” treats! I love Lily’s! I eat it plain or add it to THM muffins. My favorite way to eat them is sprinkled on my Greek yogurt! The best way to use Lily’s chocolate chips? Hm….any way is great as long as you get them in your tummy! : ) I use them to make eyes or a mouth on my grandkids funny face pancakes. I like to add them to cakes, cookies or brownies too. Of course, I have been known to just eat a few straight from the package! ; ) Thank you for the “sweet” giveaway! Merry Christmas and blessed New Year to you! I would eat them straight out of the bag and make gluten free chocolate chip cookies. 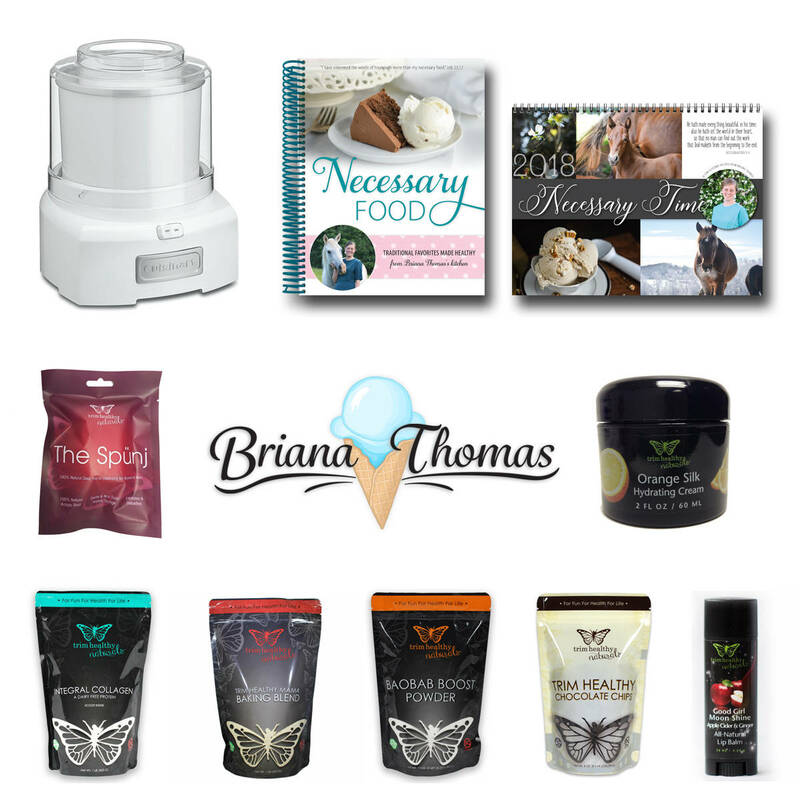 I love giveaways – although I never seem to win! There’s always a first! HA HA Merry Christmas!! I have never bought a bag of Lily’s chocolate chips, they are a little out of my budget. I would love to win this giveaway. Cream Cheese Chocolate Chip Cookies! I don’t have a favorite way to use Lilly’s chocolate chips since I’ve never had the opportunity, but I was just drooling over the Almond Joy Bon Bond and PB chocolate chip cookie dough last night. That’s what I’d be making! *Whispers* on top of a spoonful of peanut butter…..
Briana Thomas’s cranberry oatmeal snack with greek yogurt and Lily’s chips! I love using Lily’s chips when I make healthy granola bars for my kids. Also I use them in the Trimtastic Zucchini Chocolate cake. Thank you for the giveaway, and also for spending time perfecting delicious recipes to benefit Trim Healthy Mommas around the world. Merry Christmas! I love Lily’s chocolate!!!! It seriously is a game changer for this chocolate lover!! Thank you so much for this giveaway. You bloggers are amazing! I’ve never had the chance to use them so I’d really love to! I’d use them in chocolate chip cookies! I would love to try the Lilys chocolates! I’m enjoying trying your recipes, as well! Thank you! Would love to try them in a cookie dough cheesecake!! I’ve never tried Lily’s chocolate. I am a THM newbie and have been looking for chocolate chips in the store to eat because I can literally eat one bag myself. I have not bought any since starting this and now I see these. I will have to find them at a store near me. Thank you for your blog and inspiration to follow a healthier lifestyle! I love Lily’s chocolate chips in all chocolate desserts but love them for making skinny chocolates! We use them in the jamocha shake and in the protein bar in the new thm cookbook! Cookies! I love CC cookies! I have made cookies and muffins with the chips, but I admit I enjoy eating them right out the bag when I’m in a pinch for something chocolate-y! My family’s favorite are the Soft Double Chocolate Chip Cookies from THT! Yum! I mix Lily’s chocolate chips with unsweetened dried cranberries and unsweetened coconut flakes for a healthy sugar free trail mix! YUM! I would LOVE some of these!!!! I’ve never used them either…but I would love to try them! I use Lily’s chocolate chips in my pumpkin muffins! Or when I make peanut butter whip, I’ll sprinkle some Lily’s chocolate chips on top! So yummy!! ❤️? I haven’t used the chips yet. But I make chocolate chip cookies with chopped up pieces of the bar! I literally want to try every single thing you post using Lily’s chips, but especially the Poodle Doodles! I sometimes just eat the chips plain with a handful of nuts! I love to use Lilly’s chocolate in my Mint Chocolate Chip Protein Shake! ❤? I love to just eat Lilly’s chocolate chips straight from the bag!!! I have not tried Lily’s chips yet. I am working hard to cut a lot of sugar from our diet. My husband and I both have 1 kidney each due to cancer (crazy right? both the left kidney too, 8 years apart) and though he is not diabetic my husbands blood sugar is way too high for comfort. It is hard when you first make the change and I have a 13 yo in the house too. I am going to delve into some of your treat recipes. I would love to try them! Merry Christmas! I love to add them to my no-bake energy bars! I do love Lily’s chocolates, especially the crispy bar! I’ve never tried the chocolate chips. I make THM-ified monster cookies with Lily’s chips…and they are delicious! Oh, I would be interested in that recipe! I had someone asking about monster cookies the other day! I love using Lilly’s chocolate chips in my fudgey protein bars with coconut butter and collagen! Yum! I’ve never had lily’s chocolate before! maybe. just maybe its time to get some! I like the chocolate chips in cookies or ice cream. I’ve never tried the Lilys chocolate but the first place I’d use them would be chocolate chip cookies. Merry Christmas and thank you for the giveaway! Pick me pick me! I’d love to win. ?? I haven’t ever tried Lily’s chocolate. I want to! Love these Blogs!! So many wonderful recipes. For a quick sweet tooth fix I like to mix a few lily’s chocolate chips with some natural peanut butter. I love them melted and combines with PB2. I have ordered the chips, but not gotten them in yet. I am excited to try the almond joy cookies! I have yet to buy Lilly’s chocolate chips but I have the bars. Super yummy! I love the sea salt almond Lily’s chocolate and I love a good THM chocolate chip cookie with Lily’s! Brownie Batter in a Mug! Wow I have never heard of Lily’s , I switched to stevia almost two years ago so I am very excited about this. I would use them in my low carb pumpkin muffin recipe. I don’t like chocolate but my hubby does. So I put them in the chocolate muffin in a mug to give him will power to stay the plan. Merry Christmas and thank you for the giveaway because it means a lot! I use chocolate chips in many THM recipes. Cookies and muffins are my favorite. Love to use them for chocolate chip cookies and mug cakes! Delicious! I use Lily’s in my THM chocolate cake, but eat them just plain when I need a chocolate fix-LOVE the chocolate bars! My favorite way to enjoy chocolate chips is in chocolate chip cookies. I love Lilly’s in brianna chocolate chip cookies. I love to eat them straight! 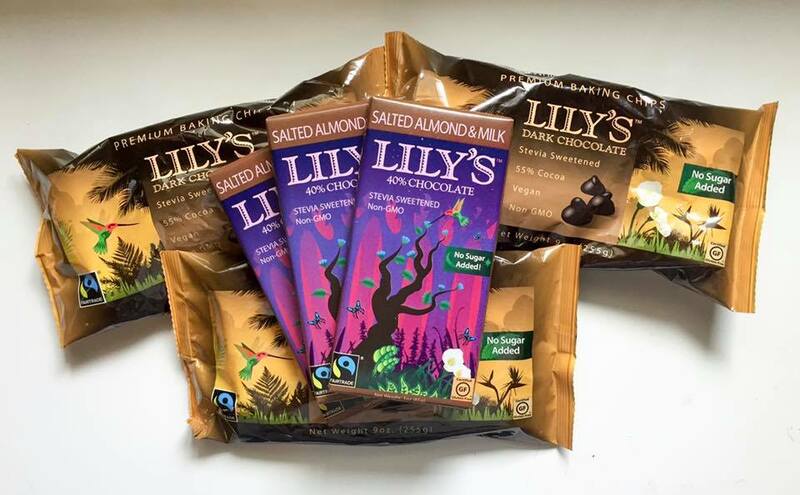 I’ve never tried lillys chocolate chips but I love the bars and hope to try them soon! ? We like Lily’s chips in Pumpkin Chocolate Chip WWBB and Skinny Chocolate Chip muffins. I love making chocolate chip cookies with them! I love lilys chocolate chips to make Moms. Or to just snack on. I have never tried the chips, just the choc bars. Salted almond is my favorite bar! I use lilys in protein balls, cookies, muffins, pancakes, and i eat them right from the bag! I’ve never had them, so if I win I’ll let you know ? You give away chocolate on your blog?!? Where have you been all my THM days??!! LOL I have never tried Lilly chocolate but have heard great things about it. Looking forward to following your blog in the weeks and months ahead. Welcome, Anne! I hope you find lots of recipes to enjoy! I have never had any lilys chocolate chips to use yet. I havw had a few of theor chocolate ba4s and loved them. Want to try them someday! I’ve not tried Lily’s yet but I’m sure they’d be good in everything! Trimtastic cake and Tag along bars. Thank you for this chance to win. Love Lily products. Love love love the 2 ingredient fudge with Lilys chocolate!! 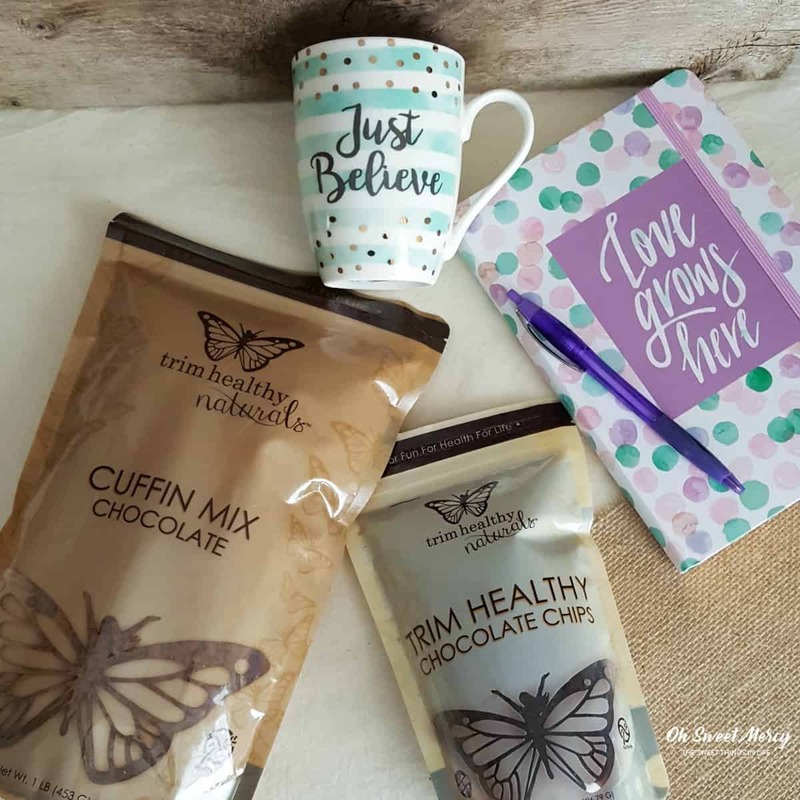 I love to use Lily’s chocolate chips in cookies, mug cakes and fat bombs! Good old fashioned chocolate chips and peanut butter. ..a special “that time of the month” treat. I’ve always wanted to try these but couldn’t bring myself to buy them! My favorite way to use Lily’s is in chocolate chip cookie dough recipe! I’ve used Lily’s chocolate chips in many THM recipes. My family loves them! I love to make the brownie batter in a mug recipe from THT and add a couple TBSP of Lily’s Chocolate Chips! 🙂 I also put a little bit of them in my cry no more brownies. I’ve never actually been able to find Lily’s but would love to try chocolate chip cookies or the muffins. I would love to try Lily’s chocolate! My favorite way to use Lilly’s Chocolate Chips in is cookie dough. I’ve never tried them but I would like to use Lilly’s in my chocolate chip cookies!!! I definitely like to use Lily’s to make cookies! I have never tried them, but I would love to !!! I don’t know yet! I haven’t been able to try them but I love chocolate so i can’t wait to try them! I love Lilly’s in your almond joy Bon bons! We can’t find the chips here in NM right now. I definitely need to order. I love using the chocolate chips in the two minute truffles. Yum! I’ve been a THMer since February 2014, but I’ve never tried Lily’s chocolate—I would love to, though! I really in Lilly’s choco chips in the chocolate trimtastic cake, and of course I have to sample them to be sure they are still good. ? Chocolate chips cookies. Thank you. 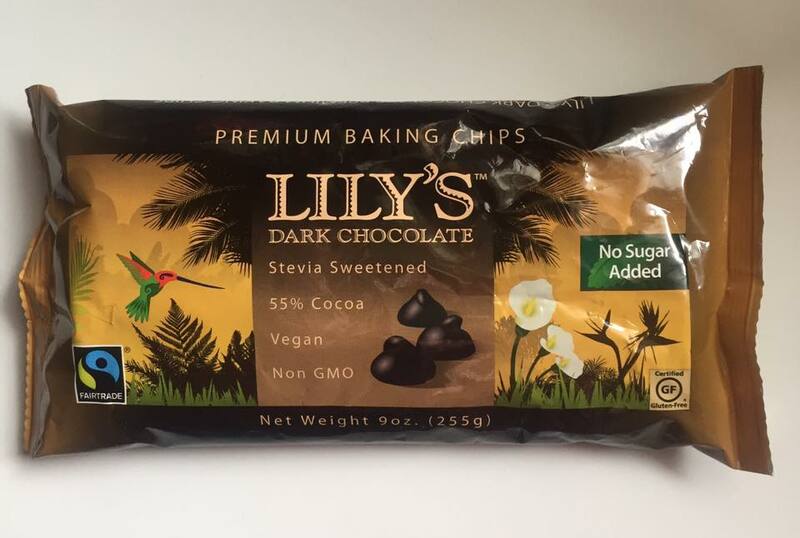 I have never tried Lily’s chocolate chips but would love to! Oops! Wrong paste from clipboard, didn’t mean to spam. My comment was: Chocolate chips cookies. Thank you. Great giveaway from all you wonderful ladies !! I love your recipes!Yhank-you for this giveaway! My favorite way to use Lily’s chocolate chips is in cookies or cookie dough, or just by the handful! I love just breaking off a piece of the bar and dipping it in plain peanut butter when I just need a little something! I use them to ttansform boring muffins! Lilly products are delicious and save me from making bad choices along with MyMontanas awesome recipes! I like using lilly’s chocolate in the cookie dough snack. I love to eat Lily’s with almonds as an afternoon snack. I love Lily’s chocolate chips in a THM peanut butter fluff and THM thin mint chocolate shake! I like to use Lilys chocolate chips with a little bit of cayenne pepper and mineral salt! So yummy!! 5 layer magic bars, cookies, mint chocolate chip ice cream. I’ve been wanting to try Lilly’s chocolate. Thank you for your generosity. My favourite way to use Lilly’s chocolate chips : why, cookies of course!! I love the chips in the trimtastic cake. We like to stir Lilly’s Chocolate chips into Greek Yogurt with Natural Peanut butter and Stevia. I have not used Lily’s before but I have been wanting to try all the great recipes I’ve been seeing on your page. I was intrigued by the Poodle Doodles! I use Lily’s chocolate chips for many things! I use them in fudge, ganache, mug cakes, cookies, sprinkled over some desserts… The uses are endless and with all you wonderful bloggers, I keep finding more and more ideas? I haven’t ever tried them yet, so I’m very excited to win this! I’m new to THM and am not familiar with Lilly’s. However, from all the positive comments, I believe I need to check them out. I haven’t used Lilly’s chips yet but would probably be most likely to eat them outta the bag. Straight outta the bag!! Or in loaded peanut butter protein bars. I have never r of this brand before but I would try them in pancakes. As a chocolate lover, I’d probably eat them straight out of the bag, but would love to try them in cookies and muffins! I have not tried them yet. I love Peanut butter and chocolate, so i think I might try your PB chocolate chip cookies. My favorite way to use chocolate chips is in chocolate chip cookies with nuts. I’ve never tried Lily’s before, but am making big lifestyle changes with the new year. There isn’t just one best way to use these chocolate chips! They are great by themselves, in cookies, bars, pancakes, etc. My favorite might just be nibbling on them plain though! Love Lilly’s in the Trimtastic chocolate cake!! Well I haven’t tried lily’s yet so I do not have a favorite way to use them. But I love chocolate so I will definitely find a favorite way to use them if I win. Merry Christmas! I’ve never found Lily’s chocolate chips near me, so, yum! I’m sure my boys would love to have chocolate chip cookies again! Thank you so much for participating, and Merry Christmas! I love seeing how long I can make a bar last…. no longer than a day and a half! Never tried the chips, but I would use them in cookie dough! I actually have never used or tried Lily’s! So, I am very excited for this giveaway! Thanks for the chance to win! If I do win, I will definitely be making fudge! Right out of the bag. I like to use Lilly’s to make healthy years for my kiddos. I’ve never used Lilys chocolate chips but am looking forward to be able to try them. Thank you for doing the giveaway! I love Lily’s in a bowl with some pecans….kind of like trail mix. Thank you so much for such an awesome giveaway! Lily’s chocolate is hard to find here so it would be nice to stock my pantry with this bounty!! Love Lily’s chocolate bars and chips! I would use the chips in the Chocolate Chip Cookie (mug) recipe. The Poodle Doodles will be made/eaten at my house, soon..
Love all the recipes you and the other food bloggers create! I use them in peanut butter whip. I have not tried the Lilly’s chocolates yet due to the cost but I want too. I love using chocolate chips in cookies and melted with coconut oil as a topping. I haven’t used Lily’s chocolate chips yet but have always wanted to try them. I’ve never used Lily’s Chocolate Chips, but I’d love to incorporate them into some THM treats for my family — and myself, of course. I bet my boys would love them in pancakes and muffins. I’ve never used Lily’s chocolate, but there are so many good recipes, like cookies, to try them in! I have never used Lily’s chocolate chips, but I would use them in pumpkin bread! We like to add them to Halo Top ice cream or a big spoonful of peanut butter! No bake cookie dough, or cookies! I’ve made lots of keto recipes which call for chocolate chips. But I’d probably them as a snack as is! I actually found Lily’s chocolate bars at Whoe Foods after Thanksgiving this year 2 for $6. The chocolate chips were not on sale (bummer!). I bought the caramelized and Salted Lily’s chocolate bar 40% chocolate and milk. SO GOOD!!! I need more of these! 12g of fiber per bar…awesome!!! Anyways, my favorite way to eat them I guess would be in cookies though I try not to make cookies much. I love putting Lily’s chocolate chips or skinny chocolate in the fat stripping chocolate frappa or adding them to a little reddiwhip with a teaspoon of sf peanut butter. All in all I don’t use them a lot because they are so expensive. Making Poodle Doodles today!! Super excited!! Your recipes are ah-mazing!!!! I love to use chocolate chips in the trimtastic chocolate cake and in cookies, especially this time of year. My father is a surgically-induced type 1 diabetic so I have been learning how to cook all over again. I love the chocolate chip cookies and the 2 ingredient fudge. I love the lily’s salted almond bars! I haven’t ever tried Lily’s chocolate chips before, but have heard good things about them! I’ve never tried them due to the cost but I would REALLY love to! So many recipes I could do with them. I really miss choc chip cookies. i like the lily’s choc chips in anything mixed with peanut butter; or sometimes i put them in my banana split oatmeal. Put them in trimtastic cake. And melt them for the homemade mounds bites in the THT cookbook. Wow! 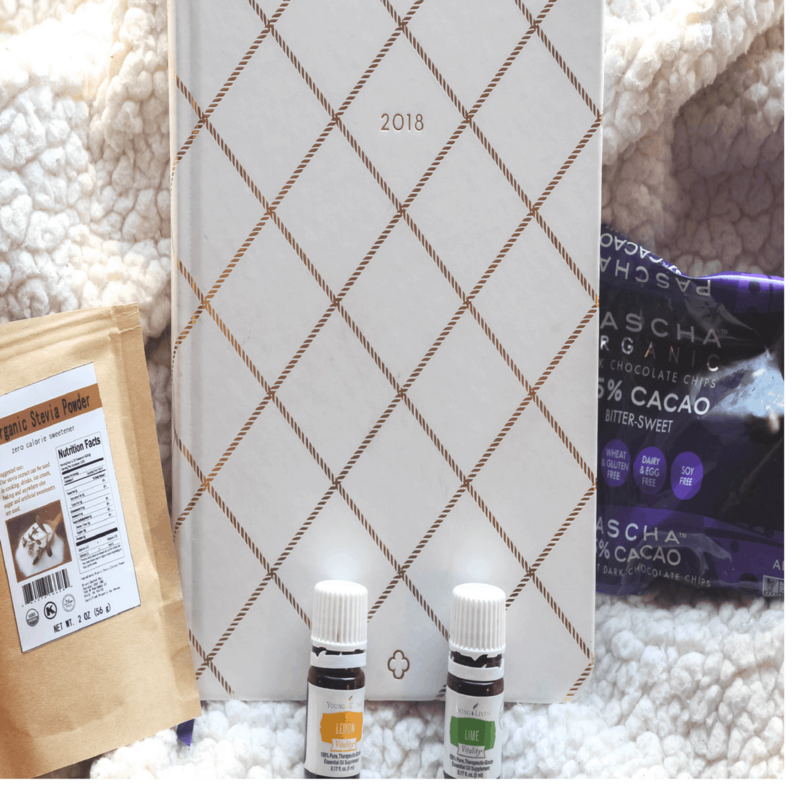 Wonderful giveaway – Lily’s chocolate! And who doesn’t love chocolate! Have never tried Lily’s, but would be lovely (and easier) in making so many of your recipes!! I love to use them in the candy! I’ve heard great things about Lily’s, but haven’t yet had the budget to get any! Would be amazing to win, as I am cooking for a hubby with diabetes on a very low budget. I’ve heard about Lily’s, but haven’t yet had the budget to get any! Would be amazing to win, as I am cooking for a hubby with diabetes on a very low budget. I would love to try Lily’s chocolate – haven’t seen them yet. Thank you for the wonderful giveaway. I have not been able to try the Lilly’s chocolate chips yet but would like to! I tried to subscribe but it kept telling me to try again…..help! I love them in banana bread muffins. Oh man, I love Lily’s stuff! Thanks for hosting this giveaway! I put them in my Greek yogurt along with some other things for breakfast most mornings. I use chocolate chips in the trimtastic cake. My favorite way to use Liky’s Chocolate is in the quick brownie in a mug recipe. Or just to grab a few to pop into my mouth when I need something sweet fast! I buy Lily’s chocolate chips and bars every month. My favorite chocolate! I use them to bake cookies or for a snack. I love to use Lily’s chocolate chips in Chocolate Chip cookie dough! I use Lily’s for yummy fat bombs and other chocolate treats because Hubby & I are chocoholics! I’ve never tried them yet. I’d love to win the giveaway!!!! I use Lily’s for anything I need chocolate for, really. Sometimes I use a micro plane grater and put a dusting of it in a peanut butter smoothie or even with cottage cheese. I like them in baked goods like trimtastic cake. I have never had them. I would try them in chocolate chip cookies. I love them in my mim recipes!! I have enjoyed several of your recipes and look forward to getting my emails each week. I like them out of the bag! I havent had the chance to try these. Would love to win so i can try your yummy recipes. ? I used to use Lilly’s in my shakes, but I ran out. Boo. Thanks for the opportunity to win and for all you do for THM community! I love to use the chocolate chips for baking!! I bought them to try one recipe (I think a cookie dough one) but I can’t find it now. (Although, the problem was I couldn’t remember what I made and now that I do I might be able to find it again. lol) I also want to try actual cookies and adding it into muffins/cake. I haven’t tried Lily’s, but I sprinkle the THM brand on my Greek yogurt! Love Lilly’s chocolate …. awesome giveaway! Thanks! Love Lilly’s chocolate …. awesome giveaway! Thanks! Merry Christmas! I haven’t tried the Lily’s chips yet but i really want some chocolate chip cookies with them! Iove me some healthy chocolate! Would love to try these! I have never tried Lily’s Chocolate chips, but tried one of the chocolate bars once and really liked it. We love Lily’s chocolate! So kind of you to do this giveaway! Merry Christmas! I use Lily’s in baking, when skinny chocolate won’t suffice. Love them in pumpkin chocolate chip muffins & chocolate chip cookies. I like them in protein bars and in my oatmeal. Thank you for the giveaway. I’ve never used Lily’s chocolate before so have had to skip many recipes that used them so have been missing out on many wonderful treats. Love the chocolate chip cookies. I love these for chocolate chip cookies and for peanut butter bars. I love Lily!s chocolate. It saves the day many times. Great in the trimtastic cake and cookies. We love the Lily chocolate chips in our chocolate zucchini bread. Thank for the giveaway. I like these chips by the handful, on oatmeal, in baked goods… any way, any time! Yum! I like the 2 ingredient chocolate balls that I can add Lily’s to. I love to add chocolate chips to: yogurt power bowl, chocolate oatmeal, two ingredient fudge—to name a few! I must confess I have yet to purchase any Lily’s chocolate. I’ve looked and never found it in the grocery store. But I’m sure if I would look harder and go to different stores I would find it. It’s just not in my normal shopping store. I haven’t tried them yet, but I have a lot of your recipes and the other thm bloggers recipes book marked on my phone for when I take the plunge and get some. I haven’t tried any of Lily’s chocolate products yet, but your chocolate chip cookie and Almond Joy cookie recipes both look fantastic, so I would probably start with one of those. Thank you for this giveaway and your generosity! ? I have never tried Lily’s chocolate…but I sure would love to! I miss making things with chocolate chips. I’ve never gotten to try them! But I’d use them in a ton of stuff as I looove chocolate! My favorite way to use Lily’s Chocolate Chips would be in no-bake healthy cookies or granola bars. I have never tried the Lilly’s Chocolate chips but would love to try them in chocolate chip cookies. I love Lily’s milk chocolate……………one of the things I miss the most on THM. A real treat!! I’ve never had them….they are so expensive and I don’t go to many different places to shop anyway. I would love to win! I’ve read and heard a lot about them. I am new to THM and they are one ingredient that I have not purchased yet. I’m anxious to try them out, but I can only buy a few special ingredient items at a time for my pantry without breaking the bank. Ha! I had no idea there were so many THM blogs! I’m excited to check them out and follow through Facebook now! I’ve never tried Lilly’s! I’d love to win and see what they’re all about! I have never tried, excited to try them! I’m new on my THM journey & have been avoiding chocolate & sweets so haven’t tried Lily’s yet; looking forward to incorporating some sweets back into my menu now that my body is a bit reset. Enjoying your recipes! I’d love to make cookies with Lilly’s chocolate. Chocolate chip cookies. I haven’t been able to try them yet, but I might start out with chocolate chip cookies. I have never bought lily’s chocolate chips. I’ve never tried them, but would love to! I use these in cookie dough fudge. It’s my go to S snack to take to work. Cookies, cookie dough, and trail mix.